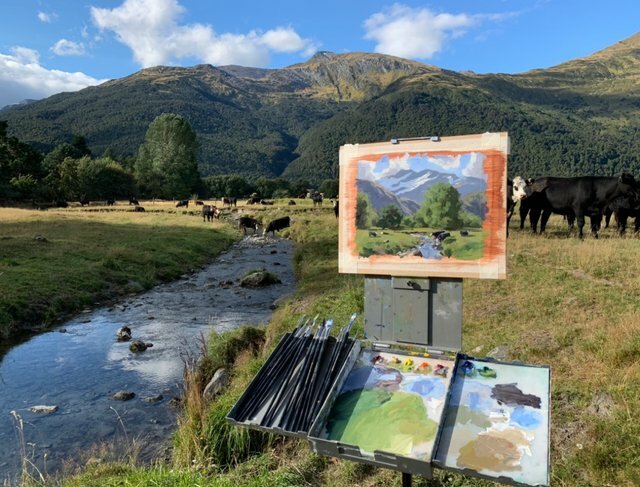 Epic day spent painting outdoors with in a beautiful mountainous location along the Matukituki River near Wanaka, New Zealand. This was such a beautiful location to paint in, I got loads of photo reference too so I may even do a studio painting of this scene. As I was painting lots of cows started turning up and drinking out of the stream. They were also watching me paint! 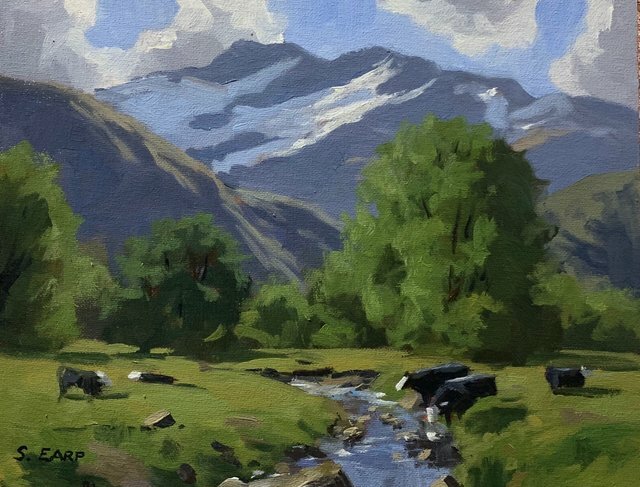 Thirsty Cows, Matukituki River, 10” x 12” (approx), oil on canvas, painted outdoors en plein air. The second picture leave a so big impression on me. I`m delighted with your work and I hope you will get some big reward for it. You deserve it. I would like to show us some steps of your drawing in the future and the way how did you do something. I really like it and the nature in the background is so beautiful. And you show us it on your painting on the right way.